Background: Genomic studies are providing an integrated understanding of natural selection by discovering the genetic basis of traits that are of ecological importance (Colosimo et al. 2005; Heliconius-Genome-Consortium 2012; Soria-Carrasco et al. 2014). We are working on a project to understand the genetic basis of the mating strategy polymorphism found in the side-blotched lizard (Uta stansburiana). Male U. stansburiana exhibit three different mating strategies whose competitive dynamics are the first known example of a biological rock-paper-scissors game (Sinervo and Lively 1996). Orange-throated males can dominate blue males and control large territories with many females because of their greater mass and testosterone levels (Sinervo et al. 2000; Zamudio and Sinervo 2000). Blue-throated males mate guard females by cooperative defense of territory and thereby exclude yellow males (Sinervo and Clobert 2003). Yellow-throated males mimic females and sneak onto other males’ territories to obtain mates, which works well in the large territories of orange males (Sinervo and Lively 1996; Zamudio and Sinervo 2000). We have successfully used exome capture to discover a gene that is correlated with the orange and blue male phenotypes (unpublished data). We propose to expand our genetic work in U. stansburiana to study the evolution of a locally adapted population in a region of conservation concern. 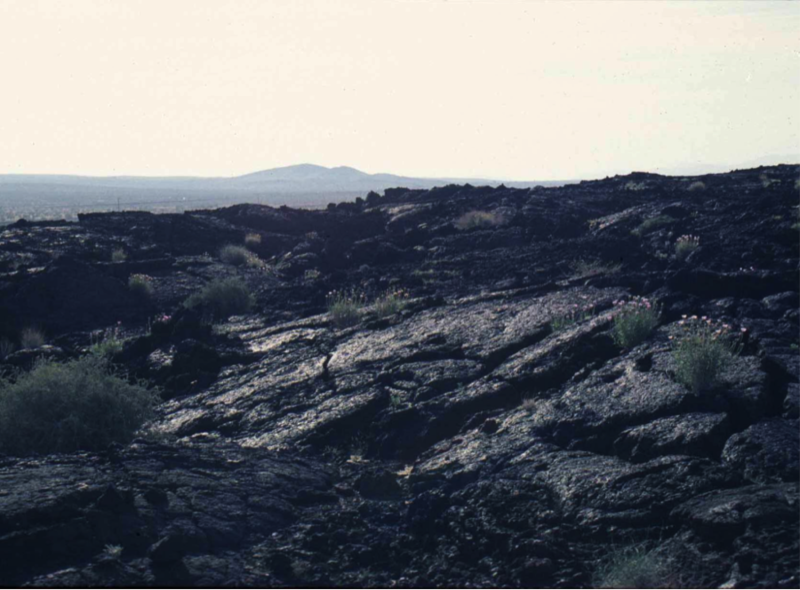 Our population of interest is found in the Pisgah Lava Flow in the Mojave Desert of southern California. The Pisgah Lava Flow formed 22,500 years ago (Phillips 2003) and has been designated as an Area of Critical Environmental Concern, because of its capacity to serve as a “research natural area” (United States Bureau of Land Management 1989). Side-blotched lizards living on the Pisgah Lava Flow exhibit melanic dorsal coloration, which promotes crypsis amongst the black lava habitat (Luke 1989; Corl et al. 2012). In addition, the Pisgah population has diverged in their mating strategy polymorphism, because the Pisgah population has only two color types whereas populations in surrounding areas have all three color types (Corl et al. 2010a). Genetic crosses demonstrated that female side-blotched lizards from the lava flow population had reduced fertility when mated to males from off the lava flow, which suggests that reproductive isolation may be building up between the populations (Corl et al. 2012). These breeding experiments also showed that there was a significant genetic component to the melanic dorsal coloration of the Pisgah U. stansburiana (Corl et al. 2012). We propose to study the evolution and genetic basis of the local adaptations exhibited by the U. stansburiana population at Pisgah. This work will highlight the importance of the melanic reptiles on the Pisgah Lava Flow for evolutionary research (multiple melanic species have been observed), which will help promote conservation efforts in this region. Demonstrating the value of the lava flow is important because the Pisgah region has previously faced threats of development by a large solar energy project. Approach: We will use exome capture to sequence 50 individuals from the Pisgah lava population and 50 individuals from a population 7 km removed from the Pisgah population. We will then estimate levels of gene flow and quantify genetic divergence between the populations. Generally, if FST is <0.3, we will have considerable statistical power to map the gene(s) underlying the melanic coloration of the Pisgah Lava Flow population if the causal variants are included, or in Linkage Disequilibrium, with the markers on the exome (Crawford and Nielsen 2013). As previous analyses based on mtDNA suggest very little genetic differentiation between the melanic Pisgah Lava Flow population and nearby non-melanic populations (Corl et al. 2010b), we expect FST to be low, and certainly less than 0.3. We will also sequence U. stansburiana from 10 other Californian populations (3 individuals/population) in order to estimate gene-flow between populations, and to test, in a model-based framework, different hypotheses regarding barriers to gene-flow. These additional populations will also be used to determine whether candidate loci for the melanic trait in the Pisgah population harbors alleles unique to this population. We will estimate the effective population size, time of divergence, and degree of genetic isolation of the Pisgah population, which will be important in assessing whether this population is an evolutionarily significant unit deserving of conservation. Finally, we will test for signatures of selection at any loci that show high levels of divergence in the Pisgah population. We predict that any genes involved in melanism will show evidence of a selective sweep from a de novo mutation. Resources: Many of the laboratory costs for our proposed project are covered by our existing resources. To develop an exome capture system in U. stansburiana, we have sequenced transcriptomes for eleven males, with representatives from each color morph and tissues from throat skin, brain, and testes. This resulted in ~29 million bases of sequence across 16,345 unique, annotated contigs with 195,891 single nucleotide polymorphisms (SNPs). These contigs were used to design probes in a Nimblegen sequence-capture system. We have Nimblegen capture probes remaining from our initial research, which can be applied to our proposed project. The bioinformatics pipeline for processing the data has been successfully tested. Many of the population genetics tests that we will employ have been developed in the Nielsen lab. All of the tissue samples necessary for this project are available as they were collected in the course of Ammon Corl’s Ph.D. research. This work synergizes with Barry Sinervo’s work to study populations and population-level extinctions of U. stansburiana in the deserts of California as a way to understand the effects of global climate change. Barry Sinervo is the director of the Institute for the Study of Ecological and Evolutionary Climate Impacts, which was funded by a 2015 U.C. Catalyst Award.